ROCK INTO SPRING EVENT ANNOUNCED! M Resort Spa Casino partnered with Gangster have announced that Heineken, FIJI Water and Findlay Chevrolet have been added to the list of sponsors for Rock Into Spring, a three-day rock n’ roll music festival taking place April 28 – 30, 2017 at M Resort’s pool. In addition, famed rockers Buckcherry and Adelitas Way have been added to the already stellar line-up. Heineken, the world’s most international brewer has signed on to sponsor the three-day pool party with their legendary brand of beer. Local Chevy dealership Findlay Chevrolet will be giving away a brand new car on Sunday, April 30th during the event. Shakespeare Vodka, No Cover Magazine, Presidential Limousine, SB Craft Jerky and Fest Pop have also come on board to be part of this extraordinary experience. Other band additions include: Never Say Die, Alive in Barcelona, State of Mine and contest winner Reclaim the Sky. The festival is hosted by Cranked Up Live, Yourlisten.com, The Rocking Comedy Show and Radio Vegas Rocks and will feature live performances from over 18 bands, including: Art of Anarchy, Sick Puppies, Trapt, DJ Lethal from Limp Bizkit, Alien Ant Farm, Eve To Adam, Bobaflex, 9 Electric, Another Lost Year, Shallow Side, Blacklite District, VYCES, Behind the Fallen, Artifas, Lola Black, The Broken Thumbs, QUOR, Silent Theory and more. 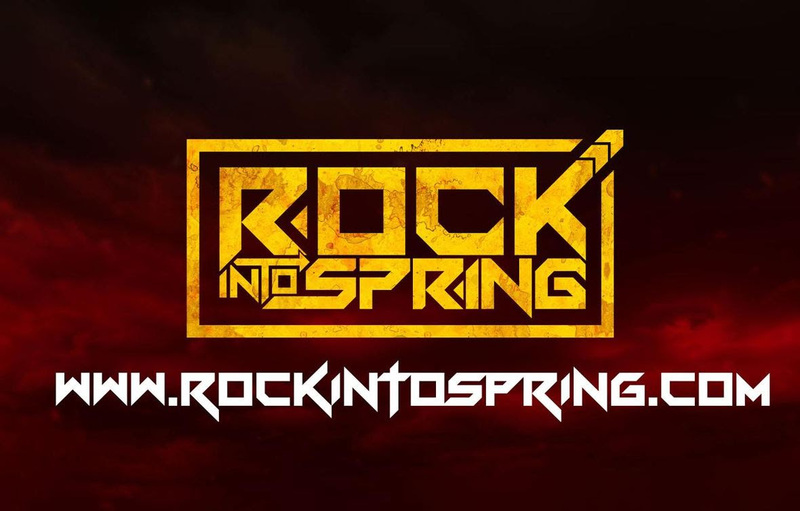 Rock Into Spring will consist of three days of festivities, beginning on Friday, April 28 with a concert at M Pool featuring DJ Lethal, Buckcherry, DJ Josh Todd, Alien Ant Farm, 9Electric, Never Say Die, State of Mine, Reclaim the Sky and much more. Rock Into Spring will also have 20 Top Tattoo Artists on deck that you can set up appointments with during the event including: Ink Master’s Randy Vollink, James Francis, Cleen Rock One, and King Rock, as well as MTV’s Drama Diablo plus many more. This is a 21 and over event. Valid state or federal ID is required for entry. VIP Packages are available and feature access to the main M Pool and DayDream, the Pool Club at M Resort:http://rockintospring.com/vip-experience/. For Sponsorship Opportunities and/or if you would like to be a food or merch vendor at Rock Into Spring, please visit http://rockintospring.com/contact/ for the appropriate applications and contact information. For M Resort Spa and Casino room reservations, please call: 1.877.673.7678. M Resort Spa Casino is a Forbes Travel Guide Four Star-rated resort located on more than 90 acres at 12300 Las Vegas Blvd. S. on the southeast corner of St. Rose Parkway and Las Vegas Boulevard. Situated higher in elevation than other resort-casinos on the Las Vegas Strip, M Resort provides optimal views of the world-famous Las Vegas skyline from its guest rooms, suites, conference center and restaurants. The resort offers 390 guest rooms and suites, over 92,000 square feet of gaming, multiple restaurants and bars, more than 92,000 square feet of meeting and conference space, a state-of-the-art spa and fitness center and a 100,000 square foot events piazza. M Resort is operated by Penn National Gaming, Inc.